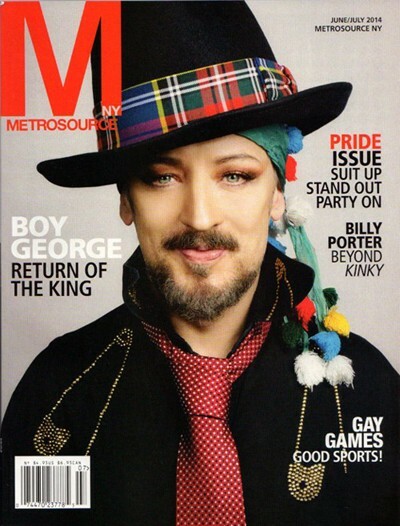 This photo of Boy George is absolutely the best. He’s on the cover ofMetrosource and at 53, he looks better than he did in his 80’s heyday. This is a man who has already written TWO autobiographies covering the years up to 2006. His new album “This is What I Do” isn’t exactly a runaway hit, but George is someone you have to SEE as well as listen to. His concerts do not disappoint and he’s always fun to look at.